Great project management is a critical success factor (CSF). 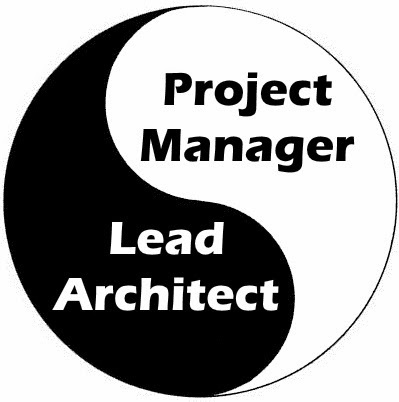 The project's management lead is as critical as the technical lead. Young architects, downplay this. Seasoned architects who have been burned by large project failures, know better. For a project of any significant size, you simply don't have time to do project management. So don't try. Examples of duties you don't have time for include: managing the client relationship, managing the contract, change orders, proposal writing, costing, HR management, time tracking, billing, etc.. These days, I team-up with proven PM's who've taken multiple projects the distance successfully. I sit next to them and do everything in my power to assist so that they can help us get to the finish line. It's a team thing, a close partnership, a great one-two punch. If it's tech, you got it; if it's management, your PM's got it. Lesson Learned: Team-up with a great project manager (PM). Provide your PM great visibility to the technical work and processes. And lead together to drive the project to a successful finish.